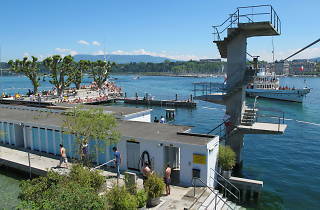 Get under the skin of Geneva at this popular open air swimming spot in the centre of town. 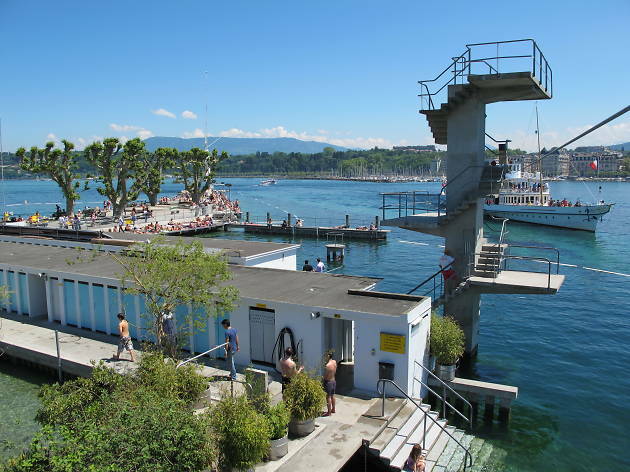 Built in the 1930s, the Bains des Pâquis is a public swimming baths right on Lake Geneva and a popular social meeting place for Genevois of all ages, shapes and wallet-sizes. 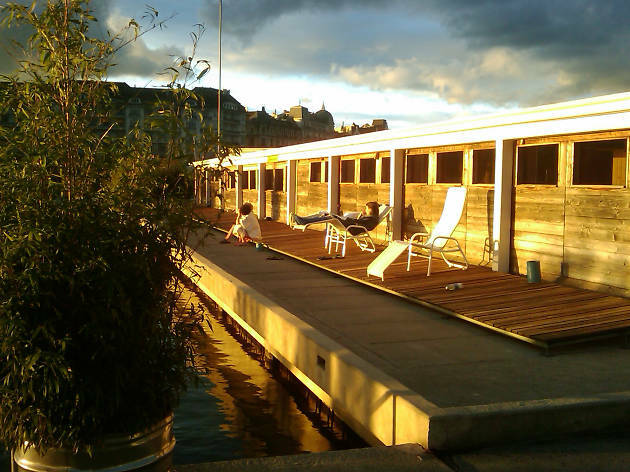 In summer it’s a lovely place to swim, lounge about in the sun and have a cheapish lunch on the large terrace of the Buvette. In winter you can still swim – if you’re that nuts – or take advantage of the sauna, Turkish bath, hammam and massage service instead. Plenty of events are laid on year-round, including music and poetry readings. If you’re up early enough, a great way to start the day in summer is by taking in a free live classical music concert from 6am. 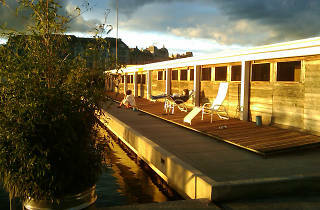 In winter, the Buvette’s fondue nights are hugely popular, too.